Give your True equipment the convenience of mobility with this set of four 2.5" casters by True. 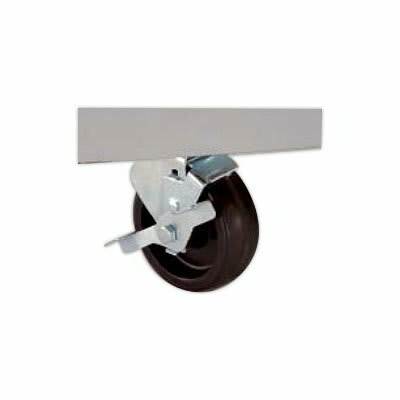 These 2.5" casters are designed to accommodate True equipment and can easily move even the bulkiest of units. Use this set of 2.5" casters as replacements, handy extras or helpful additions. These 2.5" casters feature a 1/2 " stem to allow you to easily install them on your equipment! Having these casters allows you to move your equipment at your leisure and gives you added clearance beneath your equipment for improved air circulation and easy cleaning! Set of four 2.5" castors. "They are great they fit awesome ."